You and your fellow members elect the leadership of Local 1000, who determine the strategy and set the policies and budget that governs all union activity. Through popular vote, we choose four statewide officers and more than 150 regional officers. Your contract is also negotiated by elected members–more than 60 members of the bargaining committee, supported by 250 district bargaining representatives. Regular monthly membership dues are currently 1.5% of monthly gross salary and are presently capped at $90 per month. Have questions? 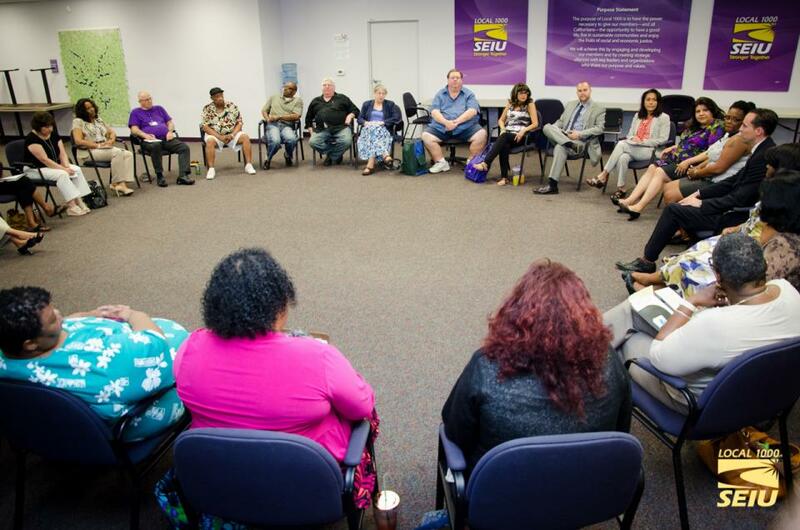 Call the Local 1000 Resource Center at 866.471.SEIU (7348) anytime Monday through Friday from 7 a.m. to 7 p.m.
Visit the Benefits & Discounts page to learn more about the added bonuses of becoming a member of Local 1000.